​The ultimate reward after climbing to the Wineglass Bay lookout is sitting on the balcony of one of Australia’s most spectacular eco-lodges and enjoying a glass of well-earned local sparkling wine. Freycinet Lodge is located within Freycinet National Park and is open to all visitors, whether it’s for a quick visit to take in the views over Great Oyster Bay, lunch in Richardson’s Bistro or to stay for a relaxing night in a secluded cabin. Freycinet Lodge offers all-day dining to visitors as well as complimentary daily tastings in Providore Wineglass, which is also the perfect place to grab some snacks or a walker’s picnic pack before you explore the national park’s walking trails. 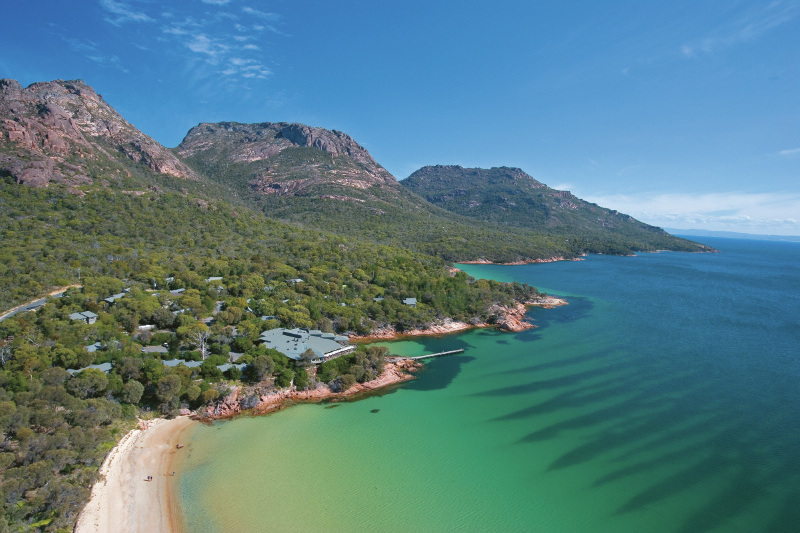 Freycinet Lodge offers free public wifi to all visitors and is open seven days.